Hemoglobin A (HbA). 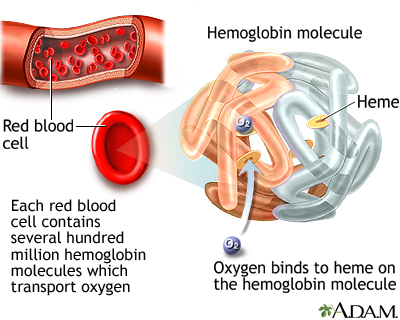 HbA is the hemoglobin molecule found in normal red blood cells during childhood and adulthood. 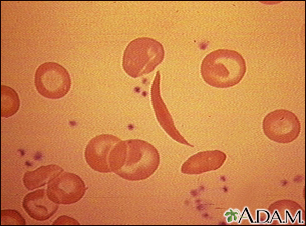 People who do not have sickle cell disease generally have this type of hemoglobin in their blood cells. Hemoglobin S (HbS). HbS (S is for sickle) is the abnormal variant of hemoglobin A, which occurs in sickle-red blood cells and is the primary problem in the disease. The difference between hemoglobin A (HbA) and hemoglobin S (HbS) is only 1 amino acid out of about 300 that are common to both. This difference in the amino acid sequence makes the hemoglobin protein fold abnormally. Sickle cells have a shorter life span (10 to 20 days) than normal red blood cells (90 to 120 days). Every day the body produces new red blood cells to replace old ones, but sickle cells become destroyed so fast that the body cannot keep up. The red blood cell count drops, which results in anemia. This gives sickle cell disease its more common name, sickle cell anemia. If one normal hemoglobin gene and one sickle cell gene are inherited, a person will have sickle cell trait. People who have sickle cell trait are protected from malaria and do not develop sickle cell disease, but they are "carriers" who can pass the abnormal gene on to their children. In general, most people with sickle cell trait are healthy, although some individuals may face kidney complications and other health problems. If two sickle genes are inherited, a person will have sickle cell disease. The hallmark complication of sickle cell disease is the sickle cell crisis (also called vaso-occlusive crisis), which is a sudden and severe episode of pain. These crises occur when sickled cells block the flow of blood through the body. Gram-negative bacteria. This group of bacteria mostly infects hospitalized people and can cause serious pneumonias and other infections. 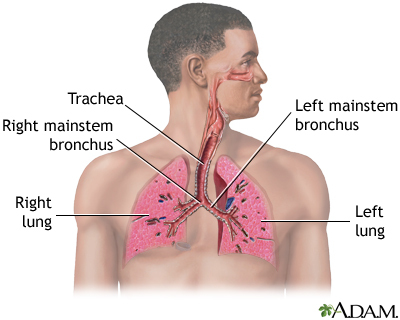 The primary symptom of pulmonary hypertension is shortness of breath, which is often severe. Pulmonary hypertension can be very serious and life threatening in the short- and long-term. If pulmonary hypertension develops suddenly it can cause respiratory failure, which is life threatening. 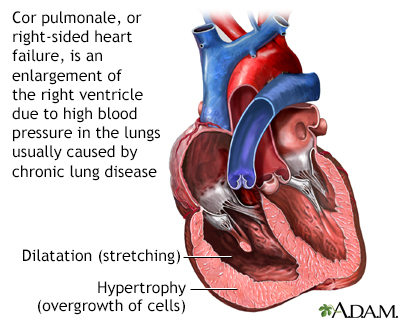 Over time, pulmonary hypertension may cause a condition called cor pulmonale, in which the right side of the heart increases in size. In some cases, this enlargement can lead to heart failure. The spleen of most adults with sickle cell anemia is nonfunctional due to recurrent episodes of oxygen deprivation that eventually destroy it. 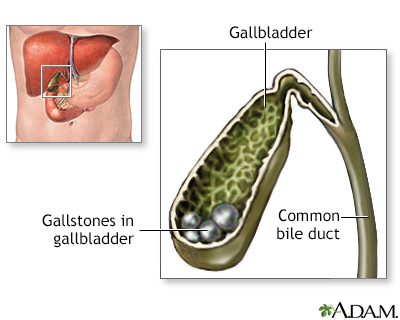 Injury to spleen increases the risk for serious infection. 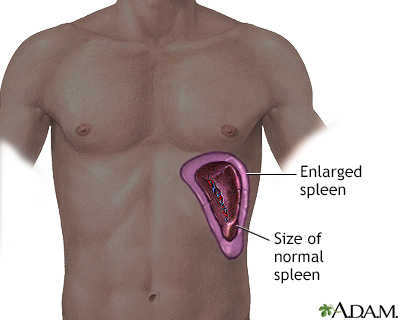 Acute splenic sequestration crisis (sudden spleen enlargement) can occur when the spleen suddenly enlarges as a result of trapped blood. Transcranial Doppler (TCD) ultrasonography measures the speed of blood flow in the brain. It can be used for identifying children at risk for stroke. However, high-risk children are still vulnerable to stroke even if the TCD screening diagnoses normal blood flow velocities. Magnetic resonance imaging (MRI) can detect small blockages in blood vessels and may help confirm high risk in people identified by TCD ultrasound. Genetic markers may eventually be used to help identify people with sickle cell disease at higher risk for stroke. Treatment goals for sickle cell disease aim to relieve pain, prevent infections, and manage complications. [For specific information on complications, see Treatment of Complications section in this report.] People should seek care from a doctor who specializes in blood disorders (hematologist) or a clinic that has experience in treating sickle cell disease. Simple Transfusion. Simple transfusions involve the infusion of one or two units of donor blood to restore blood volume levels and oxygen flow. 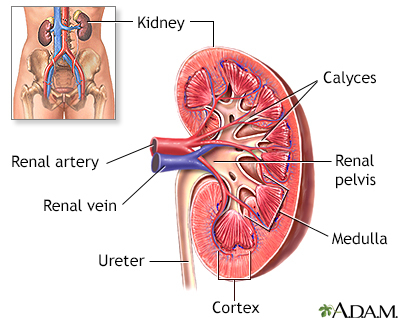 It is used for moderately severe anemia, severe fatigue, and nonemergency situations when there is a need for increased oxygen. It is also used for acute chest syndrome. Exchange Transfusion. Exchange transfusion involves drawing out the person's blood while exchanging it for donor red blood cells. Exchange transfusions may be used when there is any evidence that the person's condition is deteriorating. It prevents stroke and may also be used in people with severe acute chest syndrome. It reduces the risk for iron overload in people who require chronic transfusion therapy. Immune reactions. An immune reaction may occur in response to donor blood. In such cases, the person develops antibodies that target and destroy the transfused cells. This reaction, which can occur 5 to 20 days after transfusion, can result in severe anemia and may be life threatening in some cases. It can usually be prevented with careful screening and matching of donor blood groups before the transfusion. Hyperviscosity. 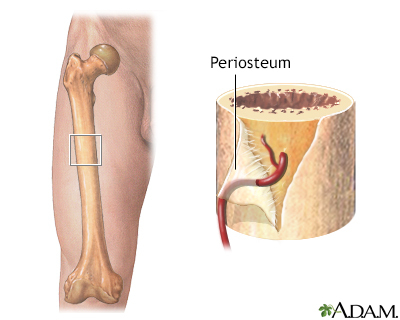 With this condition, a mixture of hemoglobin S and normal hemoglobin causes the blood to become too "thick". The person is at risk for high blood pressure, altered mental status, and seizures. Careful monitoring can prevent this condition. Transmission of viral illness. Before widespread blood screening, transfusions were highly associated with a risk for hepatitis and HIV. This complication has decreased considerably. Bone marrow transplantations have been performed successfully in select children with sickle cell disease. Best results are obtained with matched sibling or related donors. The next best option is fully matched but unrelated donors. Unfortunately, this second option is only rarely available. However, due to a lack of available donors and the risks of developing potential complications, bone marrow transplantations for sickle cell disease are not routinely performed. Complications can include the immune system's rejection of the transplant (a condition called graft-versus-host-disease) and serious infections. People can suffer serious neurological damage if the procedure triggers bleeding in the brain. In general, younger children are considered better candidates for bone marrow transplantation than older children. Researchers are investigating new types of bone marrow transplants for children and adults with sickle cell disease. Several new approaches appear promising. They include giving less intense doses of chemotherapy prior to the transplant (a regimen known as "reduced-intensity conditioning"), or using low doses of immunosuppressive drugs or radiation in place of chemotherapy. In recent years, researchers have reported some success with "half-matched" marrow transplants (haploidentical transplant is the medical term), which uses a donor who shares only 50% of the recipient's genes. While this approach may potentially help expand donor options for people, the research is still very preliminary. Bone marrow transplant with a fully matched donor remains the best choice at this time. Pneumococcal vaccines. All sickle cell people should be vaccinated with the pneumococcal vaccine. There are two types of pneumococcal vaccines; the choice between them depends on the age of the person. Meningitis vaccination. The CDC recommends that children with sickle cell disease receive either the MenHibrix or Menveo vaccines starting at age 2 months. The MenHibrix vaccine protects against both the Neisseria meningitidis and Haemophilus influenzae strains that cause bacterial meningitis. Menveo protects against four strains of N. meningitidis. Influenza vaccines ("flu shots") should be given every winter, starting at age 6 months. Hepatitis B vaccine. All children should receive this vaccine. Note on Iron. 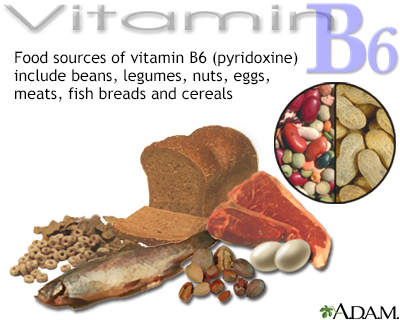 Although sickle cell disease is often referred to as anemia, people who receive multiple blood transfusions should avoid iron supplements or iron-rich foods, which increase the risk for iron overload. Stress Reduction. Stress reduction techniques and relaxation methods appear to be helpful. Breathing and mediation techniques may be very helpful. Cognitive-Behavioral Therapy. Studies suggest that cognitive behavioral therapies that teach coping skills can result in less negative thinking and possibly less pain. Coping skills can help the person's ability to manage symptoms such as pain. Support Associations. Support groups and on-line support communities can offer valuable advice and advocacy for people and their families.